Since the beginning of 2018, the gold price has been on a high rise. And top investors are investing in this much-valued asset. If you have some gold or silver, you’d realise that this is the best time to sell your gold jewelry and gain some extra cash. Whether you have some scrap gold, or you inherited some gold jewellery, this guide will help you make the right choice as you plan to sell your gold jewellery. For you to get a good deal in the bullion market, you’ve got to identify the best price to sell your precious metals. Most times, new sellers tend to have little or no idea on how to go about their gold sales. But getting a good sale is largely dependent on the value of your gold. To get the best cash for your gold, you need to partner with a good gold sale dealer. This will help you gain valuable information on all you need to know about selling your gold jewelry. Here are some few things you should consider before you sell your gold. Market factors have a direct effect on the perceived value of gold. And in some cases, other types of precious metals may be in higher demand during a set period of time. Other factors that affect the perceived value of gold include: whether it’s a bar or a coin, a private or government mint product, or simply the type of bullion to be sold. A quick way of calculating the value of your precious metal is by multiplying the current spot price by the number of ounces. The value obtained by this calculation will give you an estimate of the recent value of your gold. Normally, the gold dealers will offer you a price that’s relatively lower than the estimated value. Maybe 70% – 80% of the estimated price. And this price offered by bullion dealers is largely dependent on the prevailing market conditions. If you have a huge volume of gold jewellery for sale, you may get a higher price for your gold. Another way of estimating your price is by doing comparative studies. This entails going through the previous prices of similar gold items. When you determine your price, you’d have to place a certain discount to the estimated price. To have a better idea of your gold value, you’d have to meet a professional appraiser to provide an ideal market price for your gold. One of the best tricks to help you get a decent price for your gold jewellery in the bullion market is by restoring the luster. And this can be done by simply doing some basic cleaning with homemade cleaning agents. The cleaning can be done by using warm water to rekindle the sparkle and allowing the precious metal to air dry. This technique will increase the perceived value of your jewellery, thereby enabling you to get a better bargain in the market sale. It’s important to note that a soft bristle cleaning brush should be used during the cleaning process. Hard brushes tend to scratch the gold, making it lose some pieces and gem. Scratches will lower the perceived value of your gold jewellery. For gold jewellery that needs more intense cleaning, some baking powder, dish soap, and salt can be used to produce homemade cleaning agents. Other gold items may require a better cleaner like the denture cleaner and a thorough bath. For people who may not feel comfortable cleaning their gold jewellery, it’s recommended to employ the services of professional gold cleaners. Unlike amateur cleaners who may damage and probably destroy your gold, professional cleaners are trained to clean your gold jewellery with the utmost care. Okay… now you’ve got some quantity of gold jewellery, and you’ve done a good cleaning job, it’s time to sell. But, where can you sell your gold? There are several ways and places for selling your gold for cash. Depending on your preference, you can get a good cash for your gold. The major ways of selling your gold include local jewellers or pawnbrokers, selling for scrap, and online sale. Your jewellery items can be appraised by pawnbrokers and local jewellers. The advantages of getting a deal from local jewellers are that they’ll get to view you as a potential customer. This single factor can make the big difference between a good deal and a bad one. In cases where cash is not offered by the jeweller, you’ll get store credit. And store credits may be of greater value. Unlike local jewellers, pawnbrokers rarely give a decent deal. But the offer you’ll get is largely dependent on your bargaining skills. 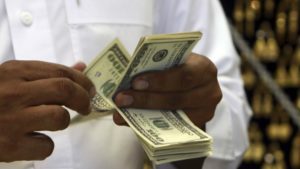 Although you may not get decent deals from the pawnshop, you’re assured of making quick extra cash within a short period of time. Scrap gold is another quick way of making some extra cash. This means that you’ll have to sell some piece of old and unused precious metals for some cash. During scrap sale, the material piece that makes up the jewellery is being examined and you’re offered a deal that’s proportionate to the value of your scrap. To sell your scrap metal, you’ll have to take it to a local store or simply mail the items. The items will be examined and a price which is dependent on the market condition is offered. Checking out the authenticity of the online dealer. Having an existing reputation as a reliable gold seller. Carefully going through the terms of the transactions. Some online gold dealers have a certain complex system that requires sincerity from both parties. Other online gold platforms will need the two parties to meet before a transaction takes place. Gold sellers in Toronto, Canada can gain extra cash by placing their gold for sale at sale stores like the Elite PMX store. Being one of the authorized gold dealers in the region, Elite PMX offers an opportunity for Gold owners to place their precious metals for sale. This will enable you to gain extra cash and profit for some unused piece of jewellery. Aside from the gold store sale services, they also offer professional consultation services. This will enable you get useful information on the current gold prices, and the processes needed to maximize profit during your gold sale. As one of the leading gold dealers in the region, you can easily reach out to the sale store, or simply place a call to their service call center. The bullion market is one of the most profitable industry. It offers huge opportunities for individuals seeking for ways of earning extra cash. 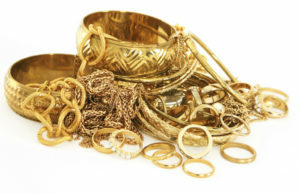 You can easily gain extra cash by simply selling your old and unwanted jewellery. Although there are several platforms that offers gold for cash, you can conveniently make extra cash by selling your gold through the Elite PMX store. Do you want to make extra cash? It’s quite simple and you can easily start by selling your gold jewellery.